It was a nice first part of the week both weather and wine wise. We were able to have dinner on the deck a couple days but Wednesday was hot and a bit too humid to eat outside. We were able to relax on the deck with a glass of wine after dishes were cleaned up and a coming storm brought a nice breeze. The nice weather allowed me to open a nice variety of wines, everything from a lighter bodied Oregon Pinot Gris to a burly Syrah-Cabernet blend from California. When I’m in the mood for something “different”, my mind generally gravitates to either a Spanish Ribera del Duero or, as in this case, a Malbec from Argentina. These are two wines I just don’t open often enough. Malbecs from Argentina are still very value priced based on the quality they put in the bottle. You need to be a little selective when choosing one of these wines because they are made in vastly different styles. Some are fruit forward, easy drinking wines but others, like this one are more serious and need some hearty food. If you’ve never had a Malbec from Argentina, you owe it to yourself, and wallet, to check them out. 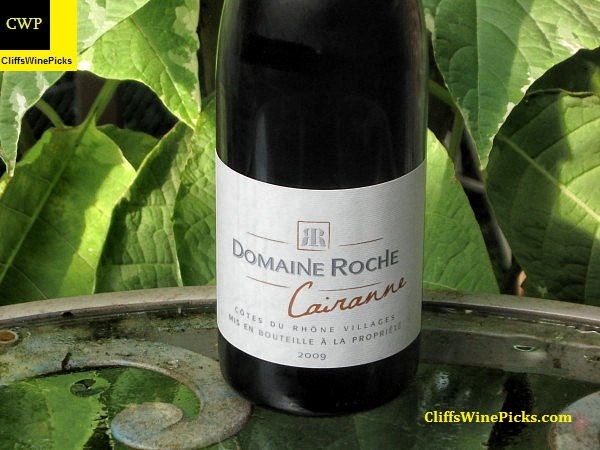 This wine was bestowed the number 58 rating on the Wine Spectator Top 100 Wines of 2011. It is part of our family’s folklore that our forefather Nicola Catena, who sailed from Italy to Argentina in 1898, celebrated leaving the famine in Europe for this plentiful new land by eating a piece of virtually raw steak for breakfast each morning. Best described as a tireless optimist, he firmly believed that he had found the promised land in Mendoza, where he planted his first Malbec vineyard in 1902. Malbec had been a blending grape in Bordeaux. But Nicola suspected it would find its hidden splendour in the Argentine Andes. Domingo, his son, inherited that dream and took the family winery to the next level, becoming one of the largest vineyard holders in Mendoza. 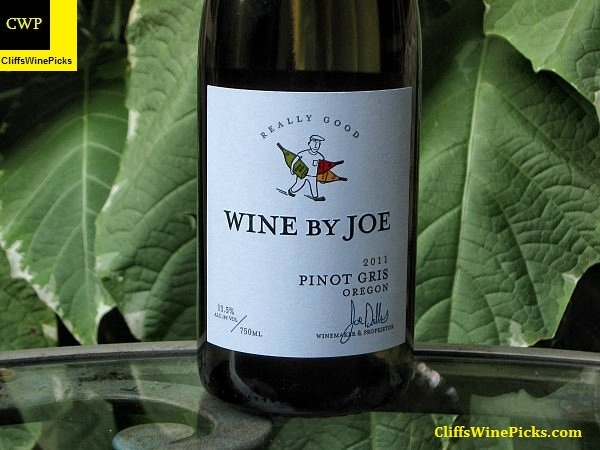 Pinot Gris wines, especially those from Oregon are a Summer staple in my house. These are usually fresh and rich enough to enjoy chilled on the deck while something is on the grill cooking or to just kick back and enjoy on its own while relaxing. These wines also usually have plenty of closing acidity to pair up nicely with warm weather, leisurely meals. This was a new one for me. Samples of this were being poured at the local wine store and for under $10, this was a winner. I had to grab a few bottles for the upcoming “deck season”. Joe Dobbes, owner and winemaker at Dobbes Family Estate, is a pretty laid-back guy, but he couldn’t be more serious about making really excellent wine. This bodes well for the world as we know it, because these dueling demeanors bring forth a true gem: Wine By Joe. See, it’s smooth and “drinkable,” as they say. But it’s rich and complex, too. Wine By Joe, priced at less than 20 bucks, is as comfortable at a dinner party as it is on a Thursday evening in your backyard. And its consistency from bottle to bottle ensures you’re going to be happy every time you pour it. I opened this wine to participate in an online winechat about the wines of the Santa Cruz Mountains of California. Everyone has heard of Ridge, but there are loads of other wineries in the region making outstanding wines. As I’ve said in the past, I think Big Basin is one big score from one of the major wine reviewing periodicals away from appearing everyone’s radar. 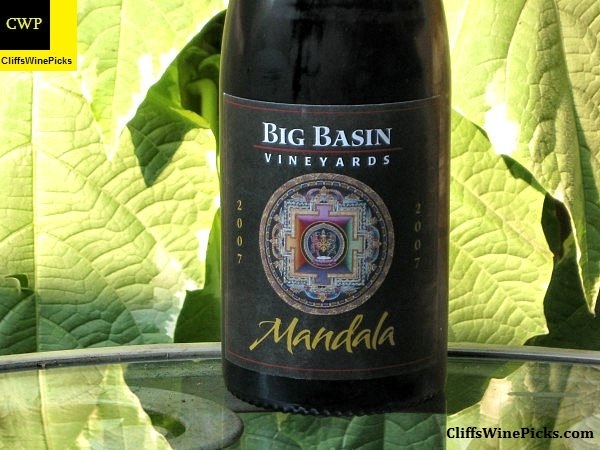 I’ve been a big fan of Big Basin’s Syrah wines and blends for a few years. I would highly recommend checking them out. This is mainly Syrah with a small percentage of Cabernet in the blend. I believe I read this is made up of 6.5 barrels of Syrah and 1 barrel of Cabernet Sauvignon. Big Basin Vineyards was founded in 1998 in the Santa Cruz Mountains next to Big Basin Redwoods State Park, with a new winery building completed in 2003. Proprietor and wine maker Bradley Brown sources his wines from three Estate Vineyards – Rattlesnake Rock, Old Corral Block and Homestead Block. All of the Estate vineyards are planted to Alban Selections on steep hillsides with mudstone and shale soils – 7 acres of Syrah, 2 acres of Grenache and 1 acre of Roussanne – and are farmed organically. Additionally, Bradley works closely with Coastview Vineyard located at 2400 ft on a mountain top in the Gabilan Mountains overlooking the Salinas Valley and Monterey Bay (several miles due south of Mt. Harlan). He has contracted with the vineyard to purchase Syrah planted in 1998 and to bud over certain sections of the vineyard to Pinot Noir and Grenache (in 2008) and plant a new block to an Alban selection of Syrah. This vineyard is also farmed organically and managed according to Bradley’s direction. Beginning in 2006, BigBasin started making Pinot Noir sourced from the Santa Cruz Mountains. As of 2009, Big Basin is making three different single vineyard Pinots from the Santa Cruz Mountains (Alfaro Family, Lester Family and Woodruff Family Vineyards), plus the Pinot from Coastview Vineyard in the Gabilan Mountains. It’s nice to see people drink French wine. I heard from some a wine store owner that no one drinks French wine anymore. Such a shame that they produce great wine at value prices in the Rhone Valley. I agree Charlie, some of the wines out of the Rhone Valley in France, especially the Southern Rhone are some of the greatest values out there. Hard to believe that, at $16, the Catena almost broke into the top 50 of the Wine Spectator Top 100 Wines of 2011. That’s some great QPR! 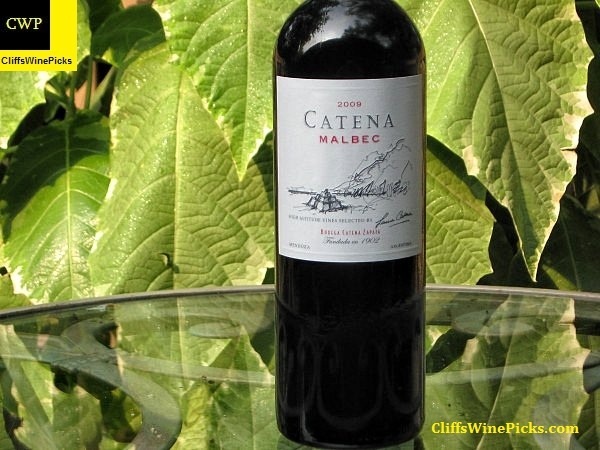 The Catena Malbec was well deserving of its rank on the WS list. Some of their choices leave me scratching my head, but not that one. I have had 2 bottles of the 2009 Catena in the last 8 days and both were very consistant with each other and the notes you described (mostly the blackberry, coffee and chocolate for me). I usually pick these up for $20 at a local wine store or Costco. It’s one of those wines that’s an easy buy at $20. I enjoy this wine very much and will drink it alone or with something from the grill. I’ve only had the 2009 and 2010 and haven’t picked up on a huge variation between vintages. Have you? Is this one of those well made wines year in and year out? In my opinion, from 2000 to 2010 this wine has been pretty consistent. I assume the winery has enough vineyards to ensure a good wine in just about every vintage.